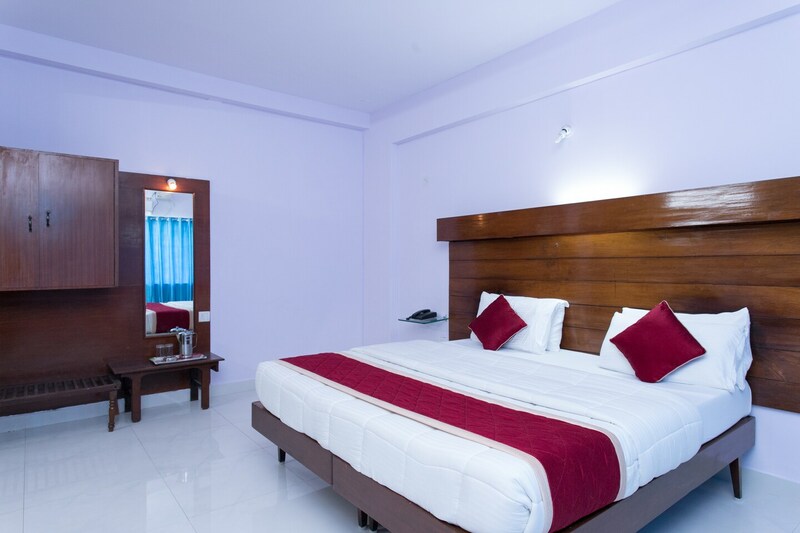 Hotel Sai Arcade offers a pleasant stay with bright and spacious rooms that are equipped with basic amenities. The rooms feature a minimal wooden decor and a cosy seating arrangement. With the free Wifi at the hotel, it's easy to stay connected. For the convenience of the guests, the hotel provides power backup, elevator and card payment facilities. CCTV cameras ensure safety at the premises. The hotel is situated close to the Sampige Road Metro Station and the Krantivira Sangolli Rayanna Railway Station is also a short distance from here. Guests can easily go out street-hopping and visit the nearby local attractions like the National Gallery of Modern Art and the Jawaharlal Nehru Planetarium.